Tetratrichomonas didelphidis is a flagellate protozoan found in the intestine, cecum and colon of opossums, Didelphis marsupialis. 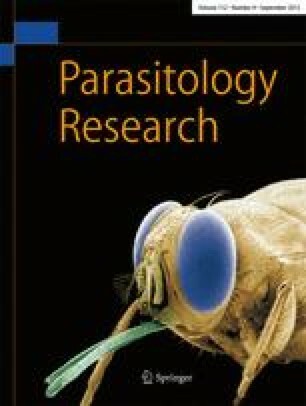 This work reports the occurrence of T. didelphidis in another opossum species, Lutreolina crassicaudata. The strain was cultivated in monoxenic culture with Escherichia coli in Diamond (TYM) medium without maltose and with starch solution (trypticase-yeast extract–starch), pH 7.5 at 28°C. The growth kinetic study of T. didelphidis showed a longer time of growth and a higher number of trophozoites when inoculated with E. coli than in axenic cultures, in aerobiosis as well as under anaerobic conditions. Scanning electron microscopy showed that the bacteria adhered throughout the protozoan body and probably evoked endocytic channels, strongly suggesting the existence of endocytosis of rods by T. didelphidis. Our preliminary results suggest that the in vitro culture of T. didelphidis depends on E. coli as a growth-promoting partner, and requires monoxenic cultivation.